Snipe are masters of camouflage and the next two shots show 5 then 6 snipe on the edge of an island at Walmsley in the early morning. You need to look closely to spot them all! 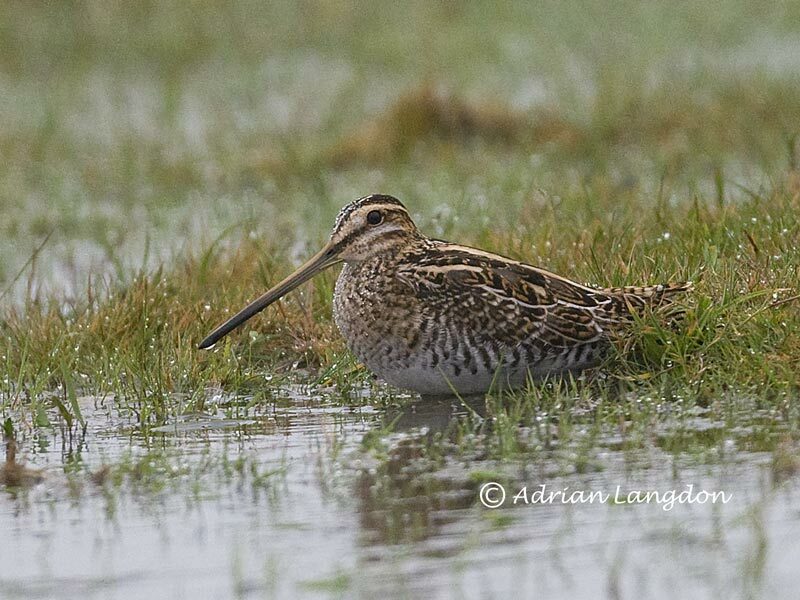 The third image shows one at Davidstow nestled down in the grass near a pool and one would think it stood out a mile! Not so, as I watched it come into land by the pool it then took about ten more minutes to re-locate it as it was motionless and so difficult to see.